​Museums, especially small ones, are interested in attracting families to visit. 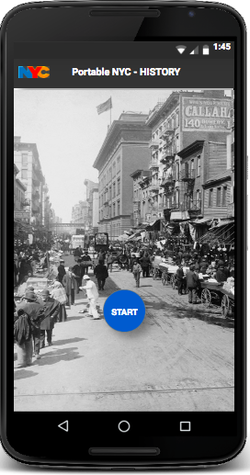 This is mobile app for NY Historical Society designed for children to create their own museum exhibit and upload it to museum's website. ﻿Events, dates, stories - how do you keep them organized, searchable and available on the go. This reference app is intuitive, fast and doesn't not require internet connection.